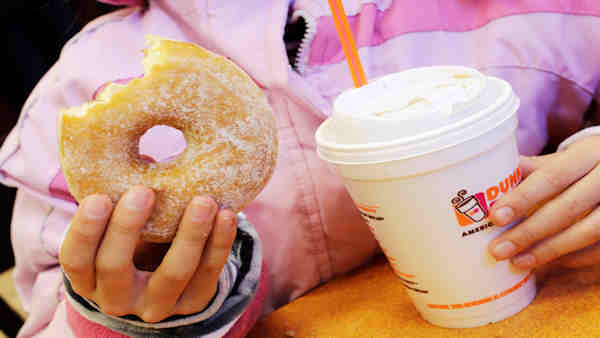 HIGHLAND PARK, N.J. -- Officials say a woman has agreed to settle a lawsuit with Dunkin' Donuts after she fell in a northern New Jersey franchise's parking lot and spilled hot coffee on her face and neck. Attorney Ed Rebenack says his client, Maria Marsala, settled the suit for $522,000 before the case was scheduled to go to trial later this month. The lawsuit, filed in Middlesex County Superior Court, claimed the North Plainfield resident fell while walking back to her car parked outside the shop on Raritan Avenue in Highland Park around 7:30 a.m. on Jan. 19, 2012. Marsala said she tripped over a spike exposed from a dislodged curb stop, causing her to spill the hot coffee on herself. She also suffered cuts to her right hand and right knee.